The League leader of the Spanish la Liga season so far Barcelona will host Villarreal at Camp Nou for the first time of the season on this 6th May, Saturday. At the 35th match day of la liga 2016-17 and 35th match for both Barca and Villarreal will kick off at 22:30 AM BST or 16:30 PM. Since 1998 this match will be the 38th head to head among Barca and Villarreal. Barcelona still miss Naymar for this vital match as well due to his 4 matches suspension, getting on Quarter final match against Juventus. To alive on the race of La liga’s consecutive title, Barca must have to win this game, though they are leading the league table. Enrique didn’t played Suarez on last match, also make substitute for Messi, while he is focusing this vital match at Camp Nou against Villarreal. In last 37 matches among them Barca are dominated to Villarreal by winning 20 games while Villarreal have only 8 wins and 9 drawn. But there most recent 2 games were drawn and one of them was on this season. 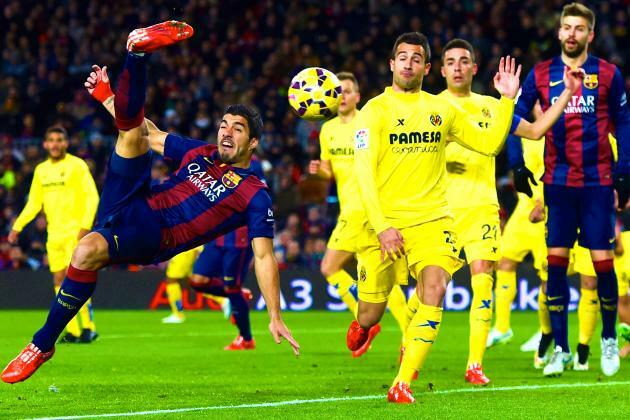 But both match was on Villarreal’s home. 2009-10 season was the last time, Barca lost the points to Villarreal at home. And defeats last time at 2007-09 but also at home by league 5th place holder at the current time Villarreal.